What happens when two of your friends meet and, it turns out, have so much in common? In the case of Amy and Tammy, they write one beautiful book. I’ve known both of these amazing women for years, so it’s with double the joy that I introduce them to you … and to their new book, A God of All Seasons. Creation brags of God’s goodness. It testifies as well as any evangelist. But often when winter arrives, we pine for days of spring and long for change. Spring is bold and perhaps, obnoxiously cheerful. In spring, we’re convinced everything is right in the world. Our spirit is stirred as we sense the One who made the delights of bluebonnets, azaleas, daffodils, irises, lilacs, or cherry blossoms, brighten a mundane highway with splashed of splendor. Spring electrifies the air with hope and promise. It has power to invigorate our souls as if Heaven spilled its secrets for all to see. And we dream about such seasons when deep in the middle of winter. Amy remembers such a winter. She bears a physical mark, a reminder created from a long surgical scar. It’s waxy-red trail streaks a vertical line down her stomach. “Cancer” they had said. Ovarian cancer. Winter outside our window arrives on dry and colorless blades of grass. A bitter wind bites at our exposed skin wondering if a crackling fire can reignite a weary soul. Amy was twenty-nine years old and pregnant when surgeons removed her cancer that year. And when the pain and scars were only ten days fresh, she gave birth to her daughter. On Christmas Day no less, only to start chemotherapy on the next. Trees stand like naked sentinels, brown arms providing contrast against a bleak-gray sky. We live spiritual winters in monotones. Pain and loss can dull our eyes to see where God is working. We are like a redbud tree that’s been freeze-framed—bare branches stretching out from under the forest canopy in search of sunlight. Days are longer and darker than most. During her fight with cancer, Amy lived through two seasons at once–decorating the nursery to become a new mom and yet, planning music for her funeral. She researched the survival rates. And then watched her daughter begin to smile even as her hair fell out in clumps. During the night, she fed her daughter, lifting bottles of milk. During the day, nurses lifted iv bags of Cisplatin to kill the cancer that lurked inside her. These were brutal, beautiful days. Winter can be harsh but also refining as we’re left in an echoing cavern of contemplation and solitude. We’re exposed and stripped down. Yet without realizing it, we’re nearer to the cross when living through such seasons of the soul. The scars down Amy’s middle and the expectation of how she would become a mom defined her for a while. The physical places have healed, mostly. But she still carries “winter” with her to every doctor appointment all these years later. But even this season is designed with a purpose. Winter creates a place of longing within us. When Amy met her dear friend and co-author Tammy, it was an instant kind of sisterhood. 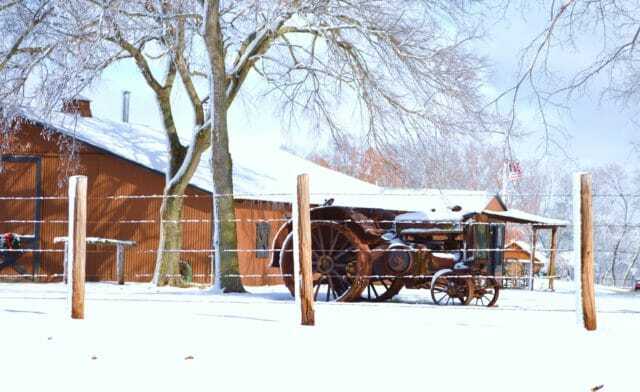 They walked the property at a beautiful lodge retreat outside San Antonio, Texas, late one fall. Each realized quickly that they shared the same heart for noticing the small details of the season- the floating leaf, the burnt orange bush, the vacant branches. Together, they gathered their seasons into a collaborative work. 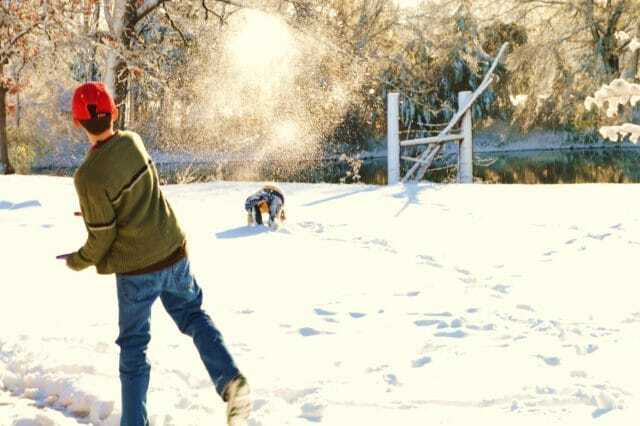 Tammy’s winter journey started as a young girl where she witnessed the way a fist curls around a lampstand like a boa constrictor ready to strike. She’s known how anger contorts a face into someone you barely recognize. As a child she dreamt of flying away with her sister. Growing up, she wasn’t a typical tomboy. She favored dresses, fingernail polish, Barbie’s, and perfumed lotions. In the fifth grade, she wore big-girl shoes and giggled with excitement at the click-clacking of her “heels” echoing against a starchy linoleum. She spent most of her days outside. 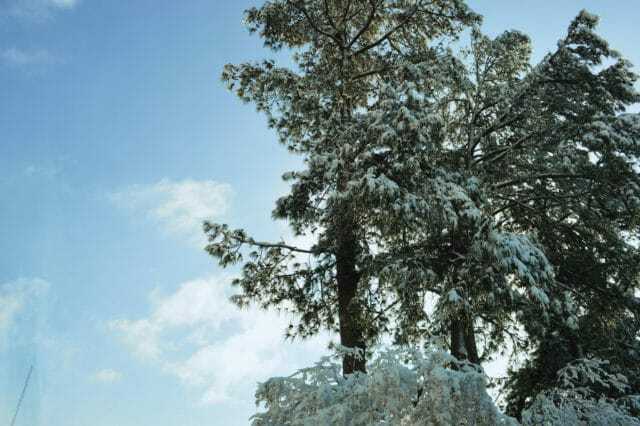 She pretended she lived under Arkansas pines with only a blanket of needles for a bed, below an evergreen canopy. Or she swung from the smooth branch of a Mimosa tree in her backyard and climbed the roof of her house. She sat in the tree-tops, only coming down after she’d been satisfied by a birds’ eye-view of her world. As a child, she sensed God’s majestic and awe-inspiring beauty in the shuddering thunder from a storm that lit the sky in a brilliant fireworks of lightning strikes. 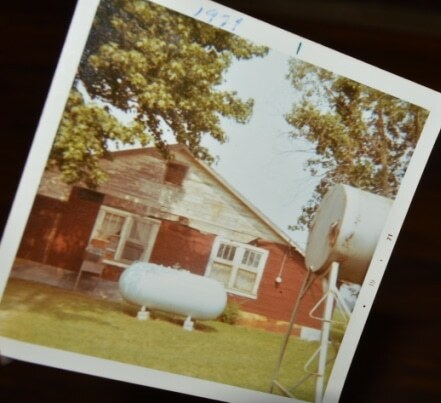 In the seventh grade during a tornado in Brownwood, Texas, she stood on the front porch of her family’s Victorian rental house after sending her sister to safety under the oak staircase. She searched for God when pedaling her bike past the city limits or any night she sat on a sidewalk and looked for fireflies or the Big Dipper. She didn’t get lost inside fear, though it haunted her most at night. Amy and Tammy know all about winter seasons. And not just the ones where snow is piled feet deep and the car engine won’t start. They know about winters of the soul and how we can fight like mad to keep any flame of faith burning. They understand how life knocks the wind from our lungs. Winter can be bitter, but we learn most about ourselves under these harsh elements. We also learn of our utter dependence on God’s grace. Maybe the first way to claim hope in winter is to trust in God’s Word despite what we cannot see or feel. And we might also choose to hear the crunch of fresh snow underfoot or to make a date with a setting sunset where cotton-ball clouds are brushed with crimson-red and sparkling-gold. It only takes one look at a twilight sky, sparkling as if twinkling diamonds were suspended overhead, to testify of God’s goodness. Our toiling stops in winter. We can notice the small with intention. We don’t have to wait for coming change in spring. We can choose this season now to notice His majesty. 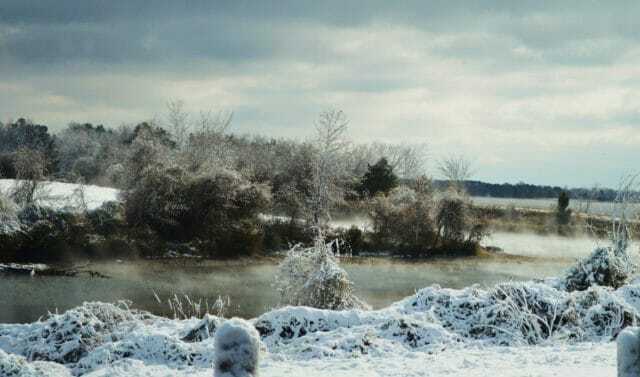 Whether it is the way a ghostly mist floats above a slumbering pond of glass or how the sun pierces our wintery eyes like daggers during a rarefied day of bright sky–God’s creation testifies. It reveals His presence, His real-ness, and when we need it most in winter, it also reveals His near-ness. 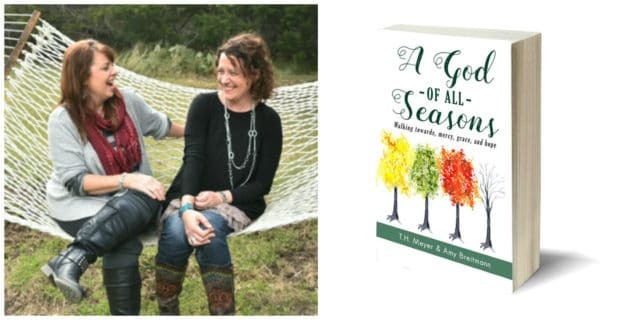 Discover the beauty and challenge of spiritual seasons as Tammy & Amy remember parts of their stories in order to draw out your own. 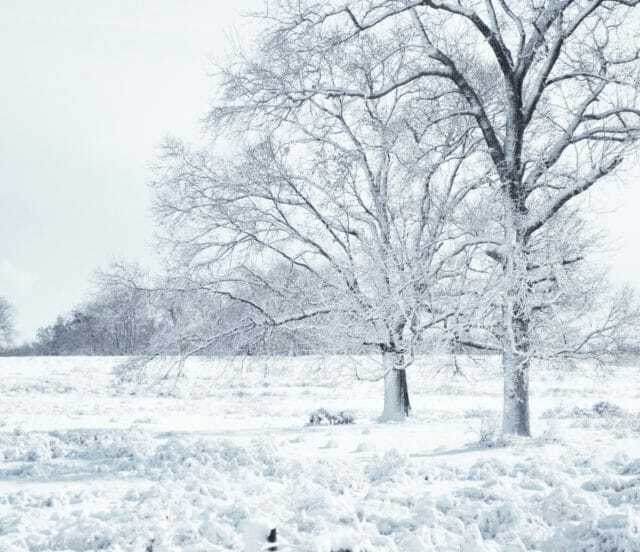 A God of All Seasons speaks to the heart when the soul feels gripped by the tendrils of an icy winter or lumbers to recover from a long spiritual reprieve as if returning from a summer sabbatical. Learn to perceive God’s companionship even when you don’t sense His nearness. And unearth, not only a God who created the seasons, but one who also walks with you through them. This devotional-style book is perfect for small group discussion or as a daily meditation. Tammy Hendricksmeyer are co-authors of the recently released book A God Of All Seasons, available on Amazon and at www.vibellajewelry.com , Connect with Amy at www.belovedinbluejeans.com and Tammy at www.tammyhmeyer.com. could get a small contribution from Amazon if you purchase the book. Our featured writer this week is Gretchen Fleming. What gift would you give a king? This is the question Gretchen poses, in light of our mad rush to buy and wrap and pick out gifts this season. I love the answer that she gives! Find Gretchen here. It’s Divine providence, Gretchen that we share this space this week. LOVE it. I so relate to a winter of the heart and am praying it will melt as outside stressors decrease and grief passes. Thanks for these beautiful words. Hopi g to add blog link ups to my actually executed list for next year. Merry Christmas 🎄! Hey girl! I’m sharing some pic’s of our get recent together in my subsriber-only newsletter on my blog. 🙂 Love to you! A God of all seasons indeed. How much He loves us! Merry Christmas and thanks for hosting! This was beautiful. Seasons have been on my mind also. A God of All Seasons sounds like a wonderful, encouraging book. Thank you for telling us about it. And thank you so much for hosting Tell His Story. I’m so grateful to be joining you again this week. Every blessing to you this Advent season! After living in Florida for forty years, I am delighted to be back in the Midwest where I grew up (though not in the same state). Fall is probably my favorite season, but winter is a close second. There’s the startling contrast of a bright cardinal against dark evergreen, the ethereal mist that sometimes clings to the treetops, the coziness of a fire, the glow of candlelight, the quiet. The goodness of God is most definitely on display–even in winter. I, too, have to say, a beautiful post, Jennifer! Thanks for sharing this book, these friends, and their lovely words! This is beautiful! I think I need this book. 😉 Even winter is designed with a purpose- amen. So honored to be here, Jennifer. Love your heart for community and your unwavering belief in a God of all seasons. xoxo. This part stopped me. “Winter can be harsh but also refining as we’re left in an echoing cavern of contemplation and solitude. We’re exposed and stripped down. Yet without realizing it, we’re nearer to the cross when living through such seasons of the soul.” This so reminds me of the last month and a half I spent with my step-dad when he was dying of cancer. The closer he got to death the more refined he got and the more in tune with God he became. It was so sad, but so beautiful to watch him turn us and himself to God. One night we were all told it was his last, and he knew it to, telling us all good-bye and loving on and encouraging us. Hours later he woke up and he was so disappointed to be in the hospital bed in the living room with us and not with God. Next time he woke up, he was with God. It was his winter season, but we all learned from it. This book sounds wonderful. Love the idea that we live in seasons, and so do those around us. What a beautiful testimony, Theresa. Thank you Jennifer for your gracious, encouraging, cheerleading heart. I also look forward to reading the link-up posts! I’ve known for several years now, what a beautiful community that is here. These words stirred my heart in a way I haven’t experienced in quite some time. I’m one who sits by riverbeds and watches maple leaves cascade to still water. I’m one who stares long at tree lines and anticipates the coming of the next season. And I find that I encounter God in his natural world in a more intimate way than anywhere else. He teaches us so much through the changing seasons, and I’m eager to step into another winter and stand beneath his falling grace. Thanks for the inspiration! WOW! Sounds like a wonderful book. 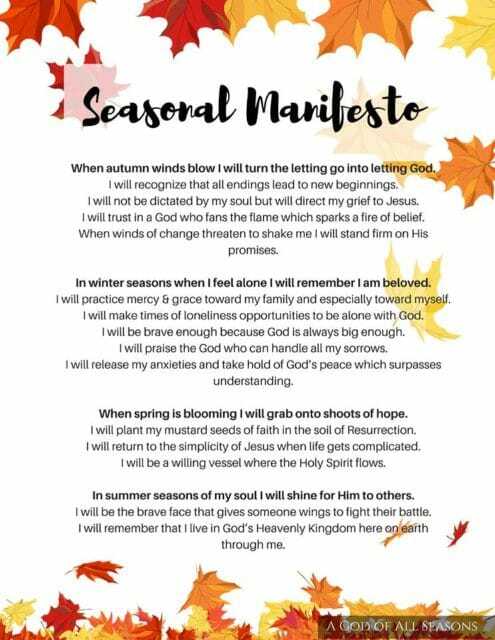 One that will encourage anyone in any season of their life. Putting it on my buy list! Beautiful – My favorite line filled with so much truth. “Winter can be bitter, but we learn most about ourselves under these harsh elements. 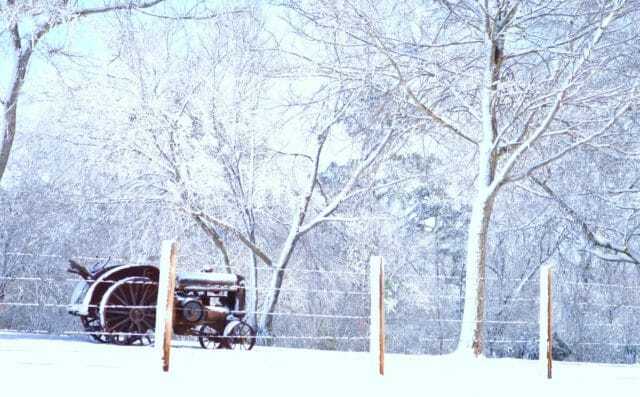 We also learn of our utter dependence on God’s grace.” In the seasons winter I have known how big and loving our God is. I experienced a closeness I never dreamed of and I thought we were already close. When the season ended it left me longing of my lord in the way we had taken every single step together. Of course I was didn’t long for the difficult circumstances yet they transformed me into a better person. “We can notice the small with intention.” Isn’t this so often where we meet God and His true heart for us! Such beauty in these words and what an amazing blessing for the two of you.